nero profumo: Puredistance - Black: Expensive Pop. 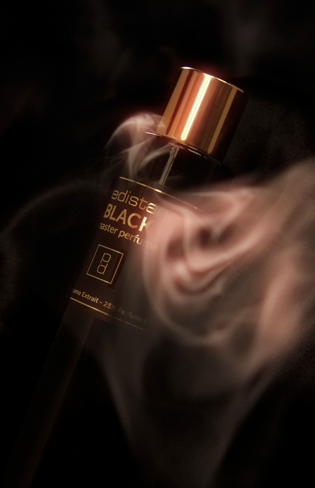 Puredistance - Black: Expensive Pop. I'm a big fan of both Antoine Lie and Puredistance but this time, I can't say I'm impressed. Lie is responsible of some of my favorite *contemporary* fragrances. His work for brands such as Comme Des Garcons, Etat Libre D'Orange and, lately, Nu_Be is the most blatant example of his talent and his ability to create subtly twisted fragrances that are wearable and at the same time anything but dull. On the other hand, Puredistance is pretty popular for targeting the upscale audience with their luxurious / plush deliveries. The pairing of these two polar opposites, sounded extremely interesting on paper but, as a matter of fact, Black doesn't convince me one bit. The fragrance opens with a citrusy-peppery-saffrony accord that is definitely well executed and promising. There's a dusty, sort of sharpish vibe that brings to mind of modern masculine fragrances while speaking at the same time of quality and artistry. Unfortunately things fall apart right away with the composition taking a sweetish, red fruity, trajectory during the middle phase. This part is completely boring and, if you want, *cheap* smelling. Overly safe and somewhat generic, even a tad *sporty*. Things get a little better during the drydown when a sweetish oudy-incense base takes over but it's still not enough to save the whole fragrance from precipice. The deja-vu vibe is so strong to drive me mad. It goes from Clive Christian V to something more generically Amouageish (thinking about Epic Man but also Interlude Man and more in general their latest masculines) via Monegal's Agar Musk, Piguet's Casbah and the plethora of other oudy-peppery fragrances released in the past 5 years or so. I think they tried to target the more mainstreamish upmarket crowd here but, as a matter of fact, while not being completely bad, Black is far from justifying the hefty price-tag. For those who care, the fragrance is pretty restrained but with an exceptional longevity.